2798-05 Martyrs, set of 8, 8 X 150 Rials. 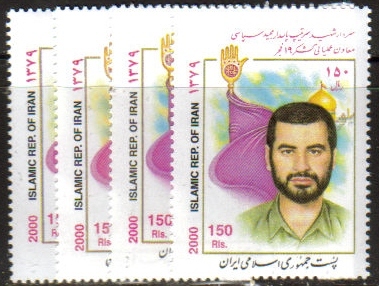 The image shows only 4 of the stamps. Scott #2249, Unity Week, mosque.